Though each model brand has its own devoted following, there’s truly nobody that can match up to a Jeep loyalist. These consumers live and die with the brand, trusting each of the models that it produces to provide maximum fun, enjoyment and durability, something that Jeep is happy to accommodate. The Grand Cherokee is no different, as It’s long been considered one of the top SUVs on the American market. New Grand Cherokee models return to Palmen Motors with a pleasing twist –they’re available with great incentives and specials attached! 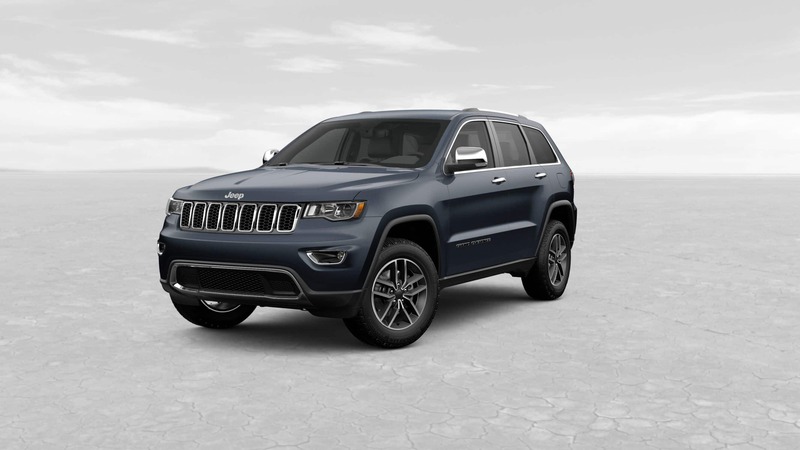 We invite you to join our Palmen Motors sales team below as we take you through the new Jeep Grand Cherokee Lease and Finance Specials in Kenosha WI, as well as some of the model’s best new features, capabilities and specs. Believe our team when we say that there has never been a better time to join the growing (and dedicated) Jeep familiy! With four high-output engines to choose from and Quadra-Trac® 4x4 capabilities standard, the Jeep Grand Cherokee is a vehicle that you’ll be sure to marvel at long after your initial impression of it. Plus, the Grand Cherokee offers high-performance Brembo brake systems, personalized Selec-Track® drive modes, and standard Launch Control to help you get up to speed and back in safety. Add this to a Bilstein® Adaptive Suspension and Electronic Limited-Slip Differential, and you’ll love every ride! Stepping inside shows you where the new Jeep Grand Cherokee really makes its money – you'll get to see the diagnostics of your drive on a stunning 7-inch Driver Information Digital Cluster Display, or play your favorite songs through a premium 19-speaker Harman/Kardon® audio system. Plus, with Uconnect® 4C NAV as an available feature, you can weave your way through traffic or unfamiliar roads with ease; what could be better? Elegance and versatility both come standard with the new Jeep Grand Cherokee by your side, as just some of its best design cues include Bi-Xenon High Intensity Discharge (HID) Headlamps, leather interior seating surfaces for five passengers, and up to 68.3 cubic feet of storage volume to work with. It's all wrapped up in a beautiful, iconic package that’s distinctly Jeep. All of the stellar and highly advanced features that we’ve listed above are available throughout every Grand Cherokee trim, and with the prospects of a great price attached to these models, there’s no reason not to give a thought towards signing off on your one. You’re more than welcome to take advantage of the current lease and financing offers that Palmen Motors has, so be sure to contact our dealership’s sales team at your earliest convenience for more information!